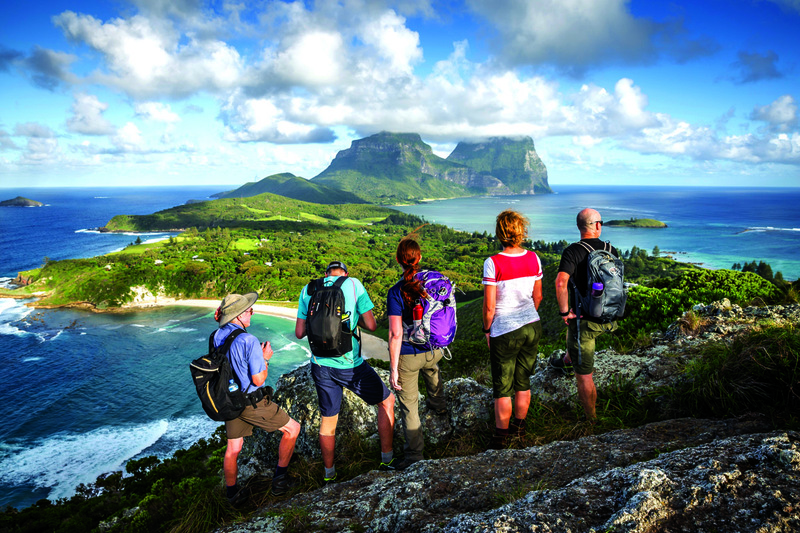 Thanks to its unique geography and climate, Lord Howe Island stands out from a sea of passable destinations as a genuine adventure hotspot. Keen adventurers, whatever their particular pursuit, understand the importance of destination. It’s not enough to find time, a staggering challenge in and of itself during this era of stress and stimuli. We have to find spaces that align with our passions, too. That can mean many things. Sudden peaks to hike. Calm waters to paddle. Coral reefs to explore. Some blessed destinations have a much higher density of these spaces than others. 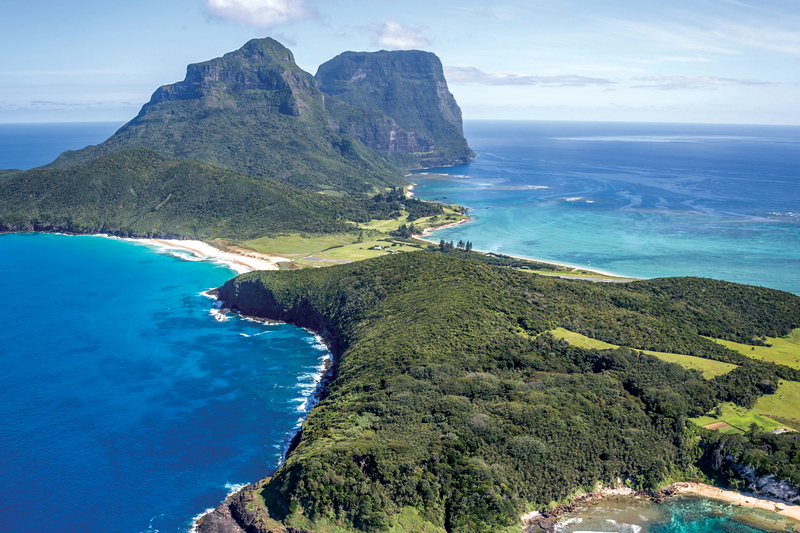 One such place is, indisputably, Lord Howe. 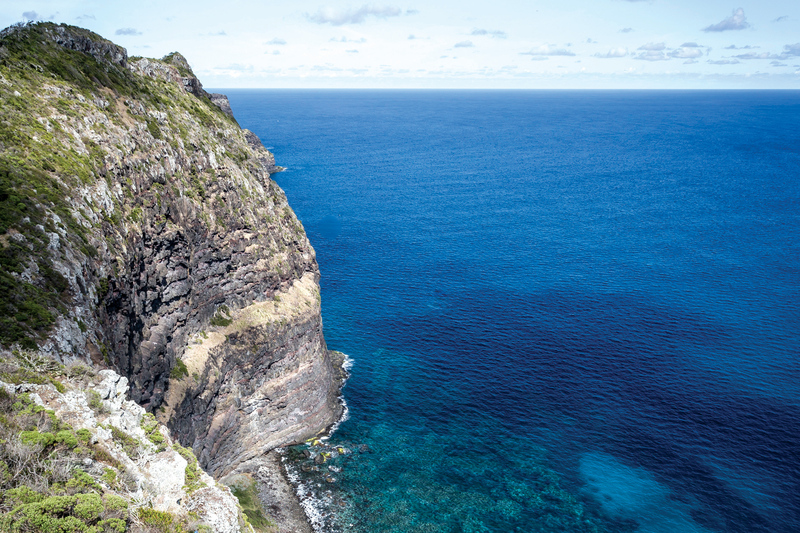 The natural processes that formed this volcanic protuberance in the Tasman Sea weren’t messing around; they went to business with the outdoorsy type in mind, making Lord Howe a genuine adventurer’s playground, says Luke Hanson of Lord Howe Island’s Pinetrees Lodge. Luke and his wife Dani are always thinking of new ways to utilise the amazing spaces at their doorstep, steadfast in the knowledge that hospitality turns to Groundhog Day if you let it, if you don’t proactively seek out new and exciting ideas. To this end, they’ve recently devised an epic Summer Festival. This week-long event incorporates the luxury we’ve come to associate with remote islands, while also capitalising on the island’s unique geography to adventurous ends. It was designed to overwhelm guests with a variety of choices; and although the adventure aspect of the festival has several prominent features (such as the Three Peaks Adventure Race), it is as fluid as the subterranean magma which formed the island millions of years ago. “We’ll see who shows up, what it is that they want to do, what they hope to get out of the week,” Luke says. “If you’re a guest with us, in any given week of the year, you have a whole load of adventure activities to do, whether it be guided walking, whether it be scuba diving, whether it be snorkelling, whether it be hiring kayaks or SUPs. Even if you can’t make either of these two aforementioned events early in the year, there’s no need to panic. The island isn’t going anywhere; it sits rigid in its place, waiting patiently for you to seek it out. Any time, as it suits you, thanks to the level-headed climate. “Lord Howe is tropical, and we’re maritime, which means that it’s kind of mild all the time,” Luke says. “During the first week of February, last week of January, the ocean temperature is 26. The daytime temperatures are anywhere from 24 to 28; it never gets over 30. 31 is our hottest recorded temperature ever. “Normally people get on the plane in Sydney and it’ll be a typical Sydney 30 something degree day, and they’ll get off the plane at Lord Howe and it’s 26 and really kind of pleasant. In this comfortable state, not too hot and not too cold, the island’s many features await your adventurous use. Take, for example, the lagoon of approximately two by six kilometres, formed by a barrier reef: an area of calm, perfect for kayaking, and an area of abundance (thanks to the reef protection and tropical/temperate crossover), perfect for snorkelling and diving. Aside from being ran on, scrambled up and swum in, the land is also there for your aesthetic appreciation, Luke says. Without the usual distractions of emails, texts, and Facebook messages, and without the overriding compulsion of Instagram uploads, due to the lack of reception and WiFi. That’s also thanks to the island’s geographical profile, 600 kilometres from the mainland. So what is there to appreciate exactly? “There’s not many places in Australia where you have 900 metres of vertical sea cliffs coming straight out of the ocean,” Luke says. “People see the photos of Mount Gower and Mount Lidgbird, but without a sense of scale you just don’t realise how big they are. “We have one walk we do where you walk along this ridge, which goes for a couple of kilometres and it’s just 200 vertical metres of cliff-line right at your toes. Below that it’s all cobalt blue ocean and coral reef. You see big schools of fish, you see sharks, you see turtles and everything swimming down 200 metres below you, but you see it all really clearly. “Everything is absolutely pristine. You know, the Great Barrier Reef has all sorts of issues that are generated from the mainland, whether it be turbidity, or pollution, or impacts of land use. But we’re so off the coast that we don’t have any of that. There’s no fishing boats. There’s no shipping coming anywhere near us. It is the way it always was." 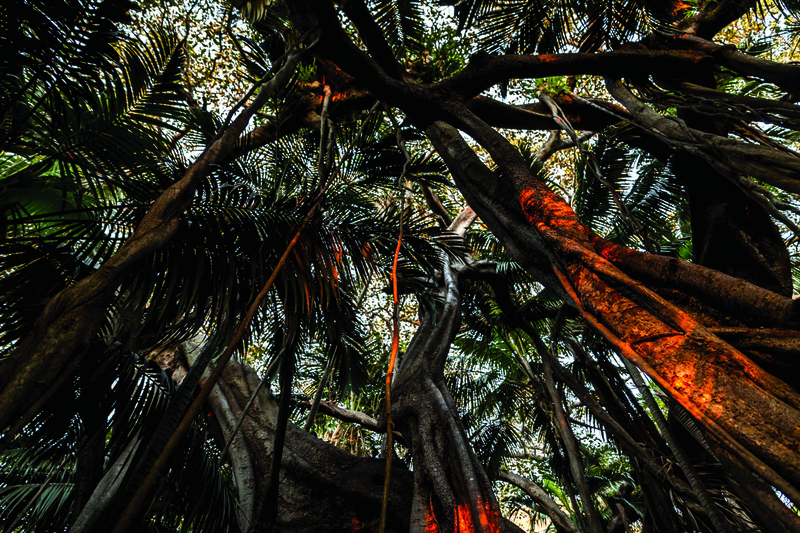 To experience Lord Howe, check out Pinetrees Lodge and the range of experiences they offer.